The days leading up to the Fourth of July aren’t necessarily a hotbed of activity in the NFL. But, sometimes, the league office will use the cover of the holiday weekend to drop some unfavorable news. That’s what the NFL did on July 2, 2015 when it announced the suspensions of three notable players. Three years ago today, the league announced suspensions for Chargers tight end Antonio Gates, Jets defensive end Sheldon Richardson, and Cowboys linebacker Rolando McClain. All three players were banned for the first four games of the season – Gates for violating the league’s performance-enhancing drugs policy and McClain and Richardson for substance abuse policy violations. Gates issued a statement soon after the suspension came down, saying that he tested positive for a substance that he was unaware was on the league’s banned list. 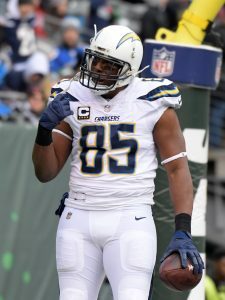 At the time, it felt like the ban could signal the end of the Gates era in San Diego and the beginning of the Ladarius Green era. Green had flashed his immense physical tools in the past, but was buried behind Gates on the tight end depth chart. Green was productive in Gates’ absence, but Gates came storming back when he took the field and finished ahead of Green in all major statistical categories. In the following year, Green went on to sign an ill-fated contract with the Steelers and Gates remained as the team’s primary tight end. Richardson’s suspension, meanwhile, probably hurt his standing with his team. Richardson’s suspension gave rookie Leonard Williams a chance to shine and further reinforced the perception of him as a bad teammate. The former first-round pick turned in the worst season of his career to date and lost upwards of $600K in salary and bonus money as a result of the suspension. The Jets tried hard to trade Richardson throughout the 2016 season, but could not find any takers. Then, just before the start of the ’17 campaign, they shipped him to the Seahawks for wide receiver Jermaine Kearse and a second-round pick. McClain’s suspension was the result of violating the league’s substance abuse policy for a fourth time in his NFL career. In a statement, McClain vowed that he would “not break the rules of [his] profession in the future.” Unfortunately, he was unable to keep that promise. In 2016, McClain was suspended for substance abuse yet again, this time for ten games. He later failed another drug test midway through the season, and the NFL slapped him with an indefinite suspension. McClain has reportedly battled an addiction to “purple drank” (a mixture of codeine-based cold medication and soda) and there has been no word of a potential comeback in some time. When linebacker Rolando McClain was handed a 10-game suspension on this date in 2016, it was assumed he’d be back for the Cowboys’ late-season run. However, two years later, it’s uncertain if the 28-year-old will ever play in the NFL again. The 2010 first-round pick had three productive seasons with the Raiders, although it was accompanied by its fair share of controversy. In 2012, he was booted from team practices after several incidents, and McClain subsequently took to Facebook to complain about the organization, going as far as to say that he wanted “to be anywhere besides here.” He was released by the team the next offseason before briefly catching on with the Ravens. However, less than a month after signing with Baltimore, McClain suddenly announced his retirement. The Cowboys then took a bit of a risk trading for the linebacker in 2014, despite the fact that McClain had sat out the previous season. It ended up paying off for Dallas, as the linebacker would go on to appear in 13 games for his new team, compiling 81 tackles, one sack, and one forced fumble. He earned his first suspension from the NFL the following offseason, limiting him to only 11 games in 2015, although he still collected 80 tackles and a pair of sacks. After signing another one-year deal with the Cowboys during the 2016 offseason, McClain was handed the 10-game suspension for violating the league’s substance abuse policy. He then failed another drug test midway through the season, and the NFL slapped him with an indefinite suspension. Following his third ban in two years, it doesn’t sound like McClain will be making a return anytime soon. Since he was suspended indefinitely, we’ve only heard one bit of news about McClain: a 2017 arrest for firearm and drug charges. Two years ago today, the Cowboys were surely disappointed hearing about McClain’s suspension. However, it’s unlikely they would have thought that he’d be out of the NFL two years later. 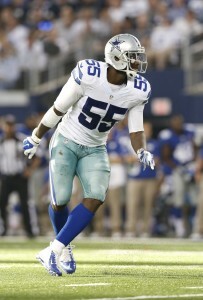 Rolando McClain was arrested in Georgia today on firearm and drug charges, as Anna Beahm of DecaturDaily.com writes. The Cowboys linebacker was initially pulled over for a window tint violation when he was found with marijuana and a gun that did not have a corresponding permit. McClain is facing charges for second-degree possession of marijuana, carrying a firearm without a permit, and a “misdemeanor equipment violation” stemming from his tinted windows. This is yet another sad development in the life and career of McClain. His most recent violation of the league’s substance abuse policy led to the league placing him under indefinite suspension in 2016. Right now, it’s hard to envision him playing for the Cowboys or any other NFL team in the near future. McClain bounced back from his off-the-field demons in 2014 when he turned in a strong season with Dallas. He followed that up with another solid campaign in 2015 in which he graded out as Pro Football Focus’ No. 28 linebacker. In that suspension-shortened season, McClain recorded 80 total tackles, two sacks, and three pass deflections. Cowboys linebacker Rolando McClain has been suspended indefinitely, as Ian Rapoport of NFL.com tweets. McClain’s stems from his latest violation of the league’s substance abuse policy. McClain reportedly wants to return to the team, but it’s not clear if the Cowboys want to have him back. Publicly, at least, owner Jerry Jones has said that he wants the linebacker to rejoin the club. Of course, that’s easy to say when McClain is a long way from being reinstated to the league. It should be noted that since McClain has been on the reserve/did not report list this season, it’s possible his one-year Cowboys deal could be applied to 2017. But, the Cowboys might not want to pursue that if McClain is not sober. 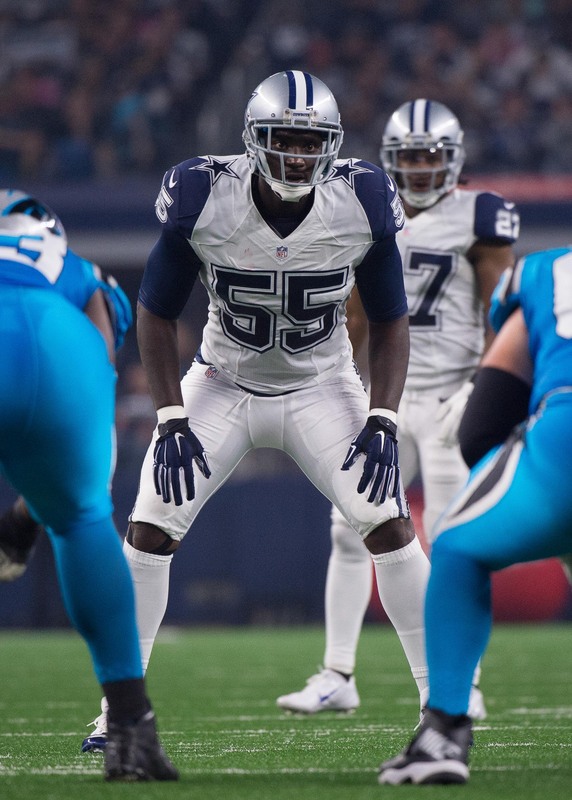 In 2015, McClain graded out as Pro Football Focus’ No. 28 linebacker. 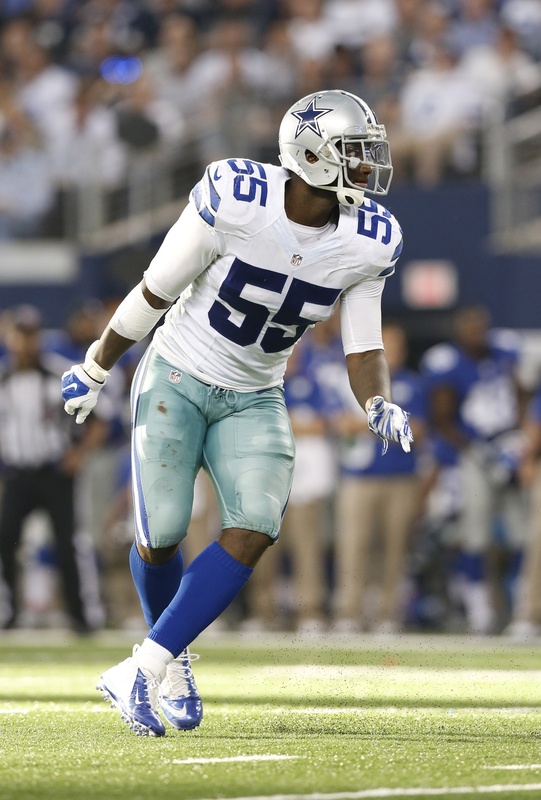 In his suspension-shortened season, McClain recorded 80 total tackles, two sacks, and three pass deflections. 5:56pm: Jerry Jones said after Dallas’ Week 11 win the team wants McClain back after his suspension ends, whenever that will be. Since McClain has been on the reserve/did not report list this season, it’s possible his one-year Cowboys deal could be applied to 2017. But Jones did not want to speculate on that for fear of punishment from the league. If McClain is suspended for the bulk of 2017 as well, it would be a stretch he returns. He’ll turn 28 in July but will have, if this additional ban goes through, missed over 30 games by the time he’s eligible again. Jaylon Smith is expected to be given a strong chance at winning the middle-‘backer job next season, although the second-round rookie’s complex injury status leaves that reality far from certain as well. 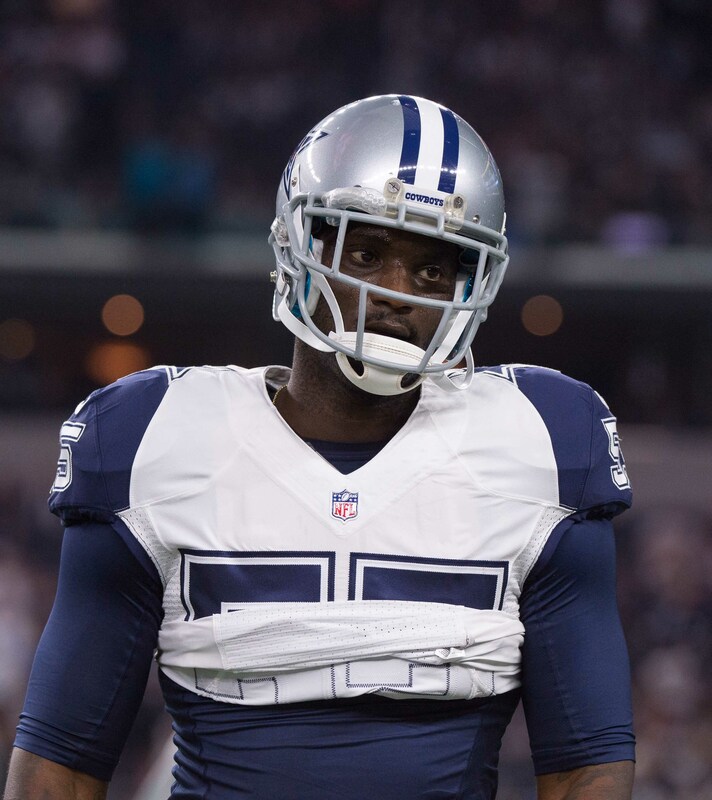 8:20am: Cowboys linebacker Rolando McClain has been suspended for another year, according to ESPN’s Adam Schefter, who reports that McClain recently missed another drug test. McClain was already serving a 10-game suspension for testing positive for opiates, a suspension that was scheduled to be lifted tomorrow, but now he will have wait until November 2017 before he is eligible to apply for reinstatement. He is, however, expected to appeal the ban. Of course, even when he is eligible to return, it is unclear whether another NFL club will give him an opportunity to suit up. As Ian Rapoport of NFL.com tweets, the Cowboys themselves doubt that McClain will ever play again. Dallas will keep McClain on the reserve/did not report list until his suspension becomes official. McClain’s return to prominence with the Cowboys in 2014 was an unexpected feel-good story, and he graded out as Pro Football Focus’ 28th-best linebacker in 2015. He was rewarded with a one-year, $4MM deal with Dallas this past offseason, several months before his 10-game suspension was announced. He has infamously battled an addiction to “purple drank,” and he compounded his problems by skipping voluntary team activities in the spring and by failing to turn up to training camp. He is eligible for unrestricted free agency at season’s end, but it is difficult to envision the former Alabama star getting his career back on track. Before his classy press conference, Tony Romo politely lobbied Cowboys brass for an open quarterback competition, Albert Breer of TheMMQB.com writes. Not wanting to mess with their success, the Cowboys didn’t go for it. With a league-best 8-1 record, it’s no surprise that the Cowboys have decided to go with Prescott, but Romo’s petition to play was also expected. The veteran has taken the news hard, but he has also handled the situation with class. Jones says that having Tony Romo on the team next year is tenable, even when considering his contract, Clarence Hill of the Star-Telegram tweets. Jones added that he believes Romo is capable of quarterbacking a Super Bowl team and he has “no plans for him not to be a part” of the Cowboys (Twitter links). Romo is currently slated to earn a $14MM salary for the 2017 season and, in theory, Dallas could cut him for $5.1MM in cap savings. They could also find a decent trade market for No. 9. Multiple teams will be seeking a quarterback and there will be very few quality options in this year’s draft class. Jones says Rolando McClain will not be back with team when his suspension is formally lifted on Monday, Clarence Hill of the Star Telegram tweets. That doesn’t necessarily rule out a McClain return at some point this season, though the Cowboys might not want to go down that road. The linebacker reportedly wants to rejoin the team for the final stretch of the season. Teammate Jason Witten doesn’t think Tony Romo is thinking about retiring anytime soon. Suspended Cowboys linebacker Rolando McClain wants to return to the team, a source tells Brandon George of The Dallas Morning News. However, it doesn’t necessarily sound like the team wants him back. Cowboys owner Jerry Jones has left the door open to the possibility of McClain playing this season. Meanwhile, coach Jason Garrett seemed to have a different take on things when asked about the troubled linebacker today. “We’re just focused on the players that we have here,” Garrett said, adding that he hasn’t had any contact with McClain while he’s been suspended. It’s also noteworthy that the Cowboys have not kept a locker for McClain at their facility, even though they did keep one for Randy Gregory. The 8-1 Cowboys are likely concerned about McClain’s conditioning and also worried about how his attitude could potentially hurt the positive locker room atmosphere. A source familiar with McClain told George that he has overcome his well-publicized “purple drank” problem and has been working out on his own. A source also indicated the Cowboys are “certainly open” to McClain returning, though it’s hard to peg whether he could play this season. McClain, 27, is scheduled for free agency in the spring. Rolando McClain‘s return to prominence with the Cowboys was one of the NFL’s great comeback stories in recent memory. Unfortunately, McClain’s story has taken a strange and sad turn, putting his football future in doubt. The linebacker is regularly abusing purple drank – a combination of codeine-based cold medication and soda – and is nowhere near football shape, a source tells Jason Cole of Bleacher Report (video link). McClain’s substance abuse problem has led to him gaining 40 pounds, which means that he would face an uphill battle back to the field if he made an attempt to rededicate himself. McClain was MIA for the team’s charter flight to training camp in Oxnard, Calif. last week, a bad sign after he was suspended for the first 10 games of the regular season for a substance abuse policy violation. From a football perspective, the Cowboys were counting on McClain to deliver this season after he graded as Pro Football Focus’ 28th-best linebacker in 2015. Many have accused owner Jerry Jones of showing preferential treatment towards the talented linebacker and his perceived coddling has not brought about the desired results for the team. At this point, it sounds like we might not see McClain in a Cowboys uniform again. FRIDAY: McClain was not in attendance at camp Friday, leading the Cowboys to place him on the reserve/did not report, per Archer. The Cowboys can now fine McClain up to $30K for each day of camp he misses, though chief operating officer Stephen Jones didn’t reveal Friday whether the team plans to do that. The Cowboys have been in contact with McClain’s agent, Pat Dye, Jones said. THURSDAY: Cowboys linebacker Rolando McClain was not on the team’s Thursday charter flight to Oxnard, Calif., where it holds training camp, David Moore of the Dallas Morning News was among those to report (on Twitter). McClain now has until Friday at 8 a.m. PT or 2 p.m. PT to report to camp, according to Todd Archer of ESPN.com (Twitter link). Those times represent when the Cowboys will hold physicals and when they’ll conduct a team meeting, respectively. McClain’s failure to show up for the team’s flight is the latest check mark against him in a career filled with them. The past month has been especially forgettable for McClain, whom the NFL suspended in June for the first 10 games of the regular season because of a violation of its substance abuse policy. The ban will cost McClain roughly $2.35MM of the $4MM salary he accepted from the Cowboys when he re-signed with them on a one-year deal during the winter. It’s also McClain’s second suspension since last year, when he missed the first four games of the season because of another substance abuse violation. Still, owner Jerry Jones has stuck by the talented 27-year-old. Between McClain’s suspensions, his spring decision to skip voluntary team activities (which reportedly infuriated the Cowboys’ coaches), and now his missing-in-action status as camp is set to begin, the five-year veteran hasn’t really given Jones reason to be optimistic. However, considering McClain’s solid output on the field – he graded as Pro Football Focus’ 28th-best linebacker last season – the defensively weak Cowboys aren’t exactly in position to move on from him. But they could decide Friday that McClain’s off-field issues are no longer worth putting up with if he doesn’t report to camp. Lending credence to a report that Cowboys owner Jerry Jones is one of the few voices in the Dallas office that doesn’t want to release troubled linebacker Rolando McClain, Jones today expressed support for McClain and seemed to indicate the club wouldn’t part ways any time soon. “There’s a lot of reasons why we don’t cut him: cap, many reasons,” said Jones, according to Nick Shook of NFL.com. “But the bottom line is, I’d like to be positive about this and think that we haven’t seen the last of Rolando McClain.” So while financial concerns still appear to be at play — a notion that Clarence Hill of the Star-Telegram corroborates (Twitter link) — it sounds like Jones still has a belief that McClain will be able to contribute on the field later in the season. Almost two years after teaming with Roc Nation, Cowboys wide receiver Dez Bryant has left CAA and agent Tom Condon to be represented solely by Jay-Z’s organization, according to Liz Muller of SportsBusiness Journal (Twitter link). The switch doesn’t figure to have many implications currently, as Dallas has Bryant locked up for years to come. After being assigned the franchise tag last prior to last season, Bryant agreed to a five-year, $70 extension that will keep him with the Cowboys through 2019. A few unheralded players figure to make the Redskins‘ 53-man roster, and Rich Tandler of CSNMidAtlantic.com points to running back Robert Kelly as one surprising option that could make waves this summer. As Roster Resource shows, Washington doesn’t have much depth behind starter Matt Jones, as third-down back Chris Thompson is recovering from shoulder surgery, while Keith Marshall, Mack Brown, and Kelly have no NFL experience. Tandler’s colleague Tarik El-Bashir, meanwhile, identifies tight end Marcel Jensen as someone who could unseat veteran Logan Paulsen for the club’s fourth tight end position. Even if he’s able to fully recover from his torn patellar tendon, Giants wide receiver Victor Cruz is unlikely to have much of an impact in 2016, opines Dan Graziano of ESPN.com. While uncertainty surrounds Cruz’s health, New York clearly isn’t counting on him, as the club drafted Sterling Shepard in the second round. As Roster Resource details, Shepard figures to start, while Dwayne Harris could also play a key role. Additionally, Big Blue has been rumored to be in the free agent receiver market, so perhaps the club could bring in external option as camp progresses. Earlier today, the Redskins signed receiver Dez Stewart, who was part of a morning workout that included fellow pass-catcher Marlon Brown and quarterback Jimmy Clausen.